This work is done in collaboration with Freescale semiconductor and MASER Engineering. 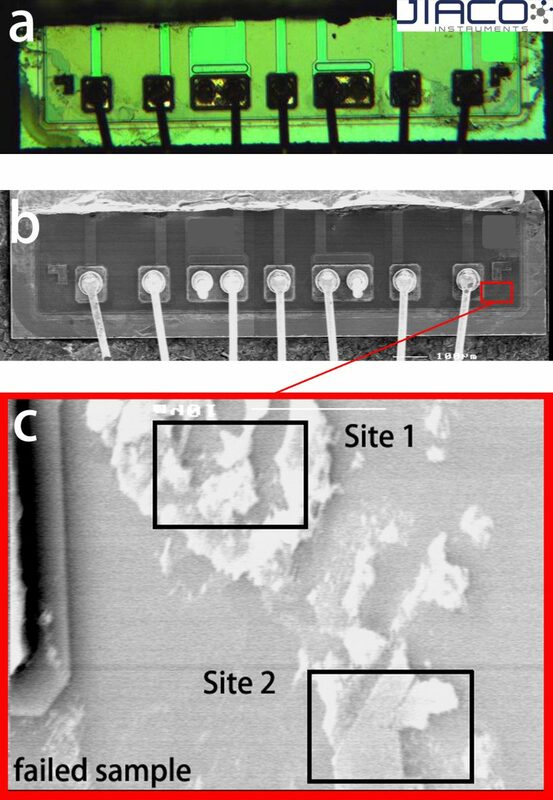 Quality control and failure analysis of IC packages require physical access to the die during destructive analysis. Successful analysis depends on the critical preservation of the original state of the die, bond wire, bond pad, and original failure sites during the package decapping process. The currently used acid and conventional plasma decapping techniques have their intrinsic limitations in certain analysis cases, for example 3D stacked-die package with complex structures, HAST stressing that causes epoxy hardening, the use of epoxy refill materials and acid-resistant epoxy molding compounds, the use of Cu and PdCu bond wires, preservation of original die and bond wire surface features, preservation of original failure sites and contaminants, etc. Such difficult cases with conventional decapping techniques often suffers from low analysis accuracy and low confidence level during root cause failure analysis, and consequently poses major threat to the quality assurance of the IC products. In order to overcome the limitations of conventional decapsulation techniques, a new generation decapsulation technique is developed with an atmospheric pressure Microwave Induced Plasma (MIP). As the MIP system operates at atmospheric pressure and the mean free path of ions at that pressure is extremely low, only isotropic high selectivity etching occurs by long lived oxygen radicals. Recipe and decapping process development is made to solve each of the challenging cases individually. As an ultimate evaluation on the capability of this MIP decapping technique, we deliberately combined multiple decapping difficulties into one single device: a 3D stacked-die package that has deliberately-introduced contamination and epoxy refill and went through HAST. It appears that the O2-only MIP afterglow decapsulation successfully preserves the deliberately-introduced contamination sites in the 3D stacked-die package. The unique capability of MIP decapsulation in facilitating accurate failure- analysis and quality control is demonstrated.